New Gold seats have been released for sale for the 50th National Jazz Festival Birthday Bash in Tauranga on Easter Sunday. Tickets for the concert, featuring Earth Wind and Fire in their first New Zealand concert together with jazz legend Patti Austin and blues singer/songwriter Keb Mo, are being snapped up fast and festival director Arne Herrmann says people need to be quick if they want reserved seating or they may be disappointed. 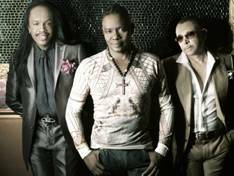 Earth Wind and Fire is the seventh top selling US band of all time with 50 Gold and Platinum albums, 90 million albums sold and seven Top 10 US singles including the mega-hits ‘September’, ‘Let’s Groove Tonight’ and ‘Boogie Wonderland’. After 40 years of global success, their popularity has not waned – two weeks ago they featured at Ellen Degenres’ televised birthday show, played at Kim Kardashian’s wedding and are a favourite of President Obama. “And now they’re coming to New Zealand to play,” Arne says, adding that Earth Wind and Fire are playing one New Zealand concert only – at the National Jazz Festival on Sunday 8 April at Tauranga Domain. Tickets are available through Ticketek 0800 TICKETEK (842 538) www.ticketek.co.nz The full line up for the 50th National Jazz Festival is at www.jazz.org.nz.